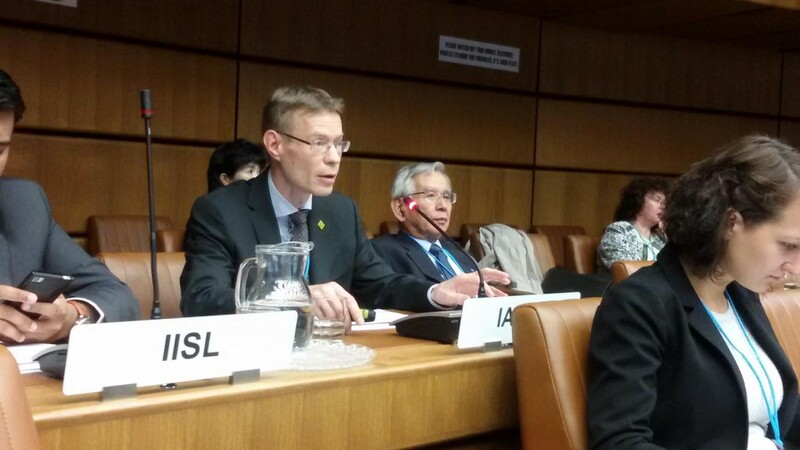 The Legal Subcommittee of the United Nations Committee on the Peaceful Uses of Outer Space (COPUOS) held its 54th session on April 13 through 24 of 2015 in Vienna, Austria. On the first Monday of the sessions the International Institute of Space Law (IISL) and the European Center for Space Law (ECSL) held a symposium on Space Traffic Management. The symposium included among others presentations by UNOOSA Director Simonetta Di Pippo and by Mr. Niklas Hedman on the ICAO/ UNOOSA Aerospace Symposium held in March 2015 at ICAO in Montreal, and a presentation by the IAASS President Isabelle Rongier on “Space Safety and Space Traffic Management”. The presentations of the symposium can be found on the UNOOSA website. Over the two week period of the COPUOS Legal Subcommittee 54th session there were many General Exchange of Views along with the main agenda items of this year’s session including information on the activities of international intergovernmental and non-governmental organizations relating to space law, the status and application of the five United Nations treaties on outer space, national legislation relevant to the peaceful exploration and use of outer space, capacity-building in space law, Principles Relevant to the Use of Nuclear Power Sources in Outer Space, legal mechanisms relating to space debris mitigation measures, taking into account the work of the Scientific and Technical Subcommittee, non-legally binding United Nations instruments on outer space, and international mechanisms for cooperation in the peaceful exploration and use of outer space. Three working groups convened during this Legal Subcommittee session: the Working Group on the Definition and Delimitation of Outer Space, the Working Group on the Status and Application of the Five United Nations Treaties on Outer Space, and the Working Group on the Review of International Mechanisms for Cooperation in the Peaceful Exploration and Use of Outer Space. Taro Kuusiholma representing the International Association for the Advancement of Space Safety gave a presentation entitled “The Need for International Approach and Framework for Operations in Near-Space. 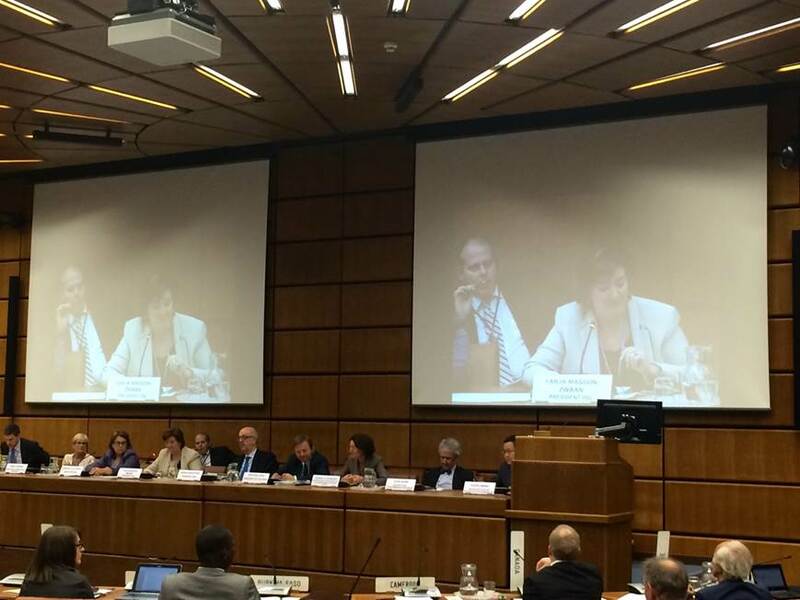 All documents, presentations and audio from the 54th session of the UN COPUOS Legal Subcommittee can be found on the UNOOSA website. Lauren Napier earned a Bachelors of Science in Communications from the University of North Florida. She is currently finishing her Masters of Art in International Relations at Webster University in Vienna, Austria. Lauren has experience in outer space law and policy through her involvement with the Space Generation Advisory Council and the SGAC Space Law and Policy Project Group where she has worked on various projects and papers. She has also attended meetings at the United Nations for the Committee on the Peaceful Uses of Outer Space as part of the SGAC delegation.